Join us for a wide range of festive events and services that perfectly capture the spirit of Advent and Christmas. Our seasonal programme has something for everyone, from celebratory events such as traditional carol concerts to inspirational services aimed at offering some space to pause and reflect in the run up to Christmas. Advent also provides lots of opportunities to hear our world-famous Choir perform at the Cathedral. They will be leading special Advent Services each Sunday afternoon in December, and will also host our family carol concert, A Celebration of Christmas. Many of our events are free – we’ve listed a selection of our favourites below, and the full list can be viewed in our events section. Mark the beginning of Advent with seasonal music sung by the Cathedral Choir, followed by mulled wine and mince pies. As part of our series of seasonal music throughout Advent, join the Metropolitan Cathedral Choir for a very special performance of Bach’s Cantata 140. Free entry. A magical night of Christmas carols and seasonal favourites for all the family. 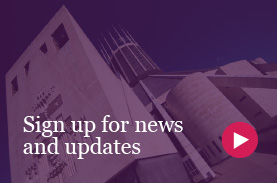 Featuring the BBC’s Roger Phillips and the choirs of the Metropolitan Cathedral. 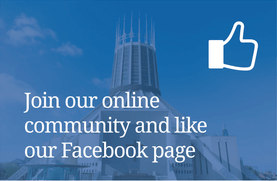 The Boy Choristers of Liverpool Metropolitan Cathedral perform Benjamin Britten’s much-loved carol sequence, accompanied by Elizabeth McNulty, Principal Harpist of The Royal Liverpool Philharmonic Orchestra. Free entry. Join the Metropolitan Cathedral Choir for a mix of seasonal music and readings as well as congregational carols. An uplifting service led by our Girls’ Choir, concluding with the blessing of the Christmas Crib. The traditional Mass of the Night to welcome the Christ Child. Led by the Archbishop of Liverpool, the Most Rev Malcolm McMahon OP. Free entry. A warm welcome awaits all visitors as we come together to celebrate the birth of Christ in words and music. Free entry.